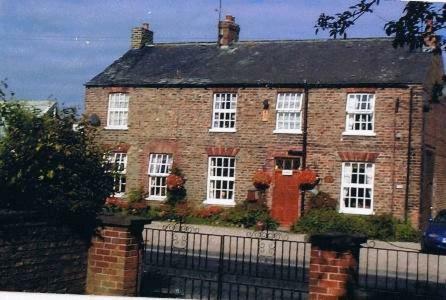 Just 3 miles from York centre, Church View B&B is situated in picturesque Stockton on the Forest. The historical farmhouse offers real log fires, full English breakfasts and free Wi-Fi. Free onsite parking is also available. The elegant bedrooms at Church View have private bathrooms and tea/coffee facilities, and some have wonderful original features. Cosy self-catering cottages are also available, with compact kitchenettes and living areas. A range of delicious breakfasts are served daily, featuring fresh local produce. Light continental options are also available, and home-cooked evening meals can be arranged. There is also a guest lounge with DVD library. The 200-year old Church View B&B & Holiday Cottages is situated opposite Stockton’s scenic Forest Park. York Old Town and Minster are a 15-minute drive away, and the beautiful North York Moors are a 25-minute drive.